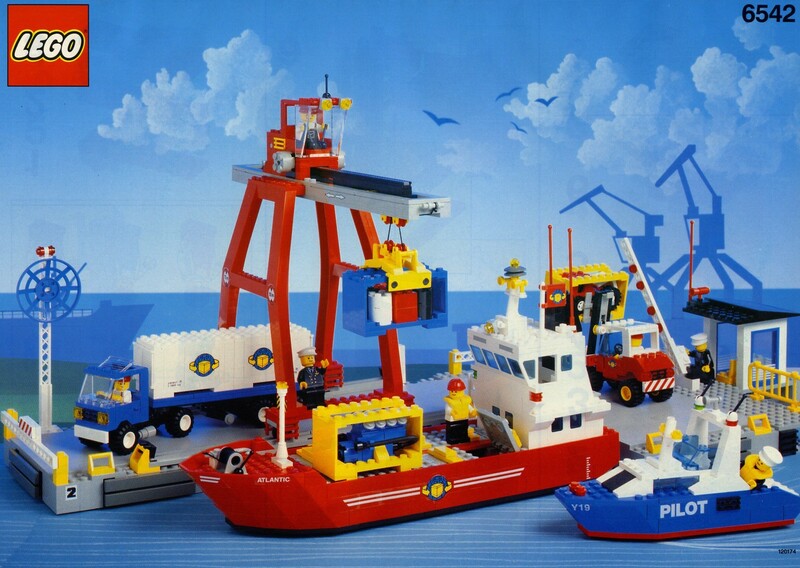 When I was a child (~15-20 years ago) I remember I had a lego set composed by a red cargo ship, with a pier and a tower crane that supposedly moved blocks from the pier to the ship. The name of the ship was Titan, or Atlantic I think. Can someone find the name of the Lego set and maybe a picture? It was released in 1991, and it matches everything you described including a ship called "Atlantic", so this has to be it. If you're looking for some nostalgia, you can pick this up on Bricklink for ~$150.